The Forgotten Heroes: Africans in WWI is a heritage project which explores, sacrifices and the contributions made by Africans to the success of the Allies during WWI. This project will fill gaps in history, provide a fresh perspective, and valuable information that will illuminate the role of Africans in WWI. Includes opportunity to volunteer and learn new skills with activities such as: Children’s arts and craft workshops, seminars, research, booklet production, IT and digital web production. Artwork produced at Children’s workshops. I like that we learnt about the war and found out many black people’s names that died in the war. 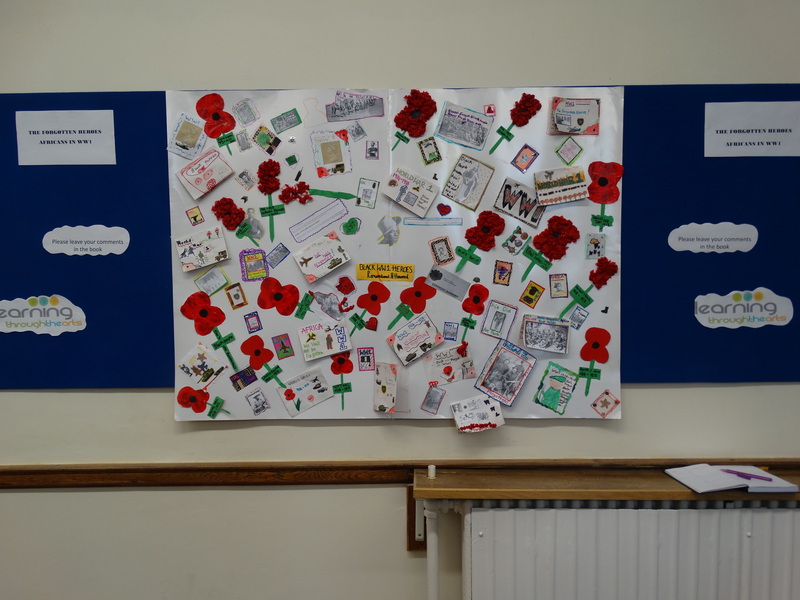 We made poppies and postcards and stamps.” Fiyin, Aged 11. “I learnt more about WWI.” Moyo, Aged 9. 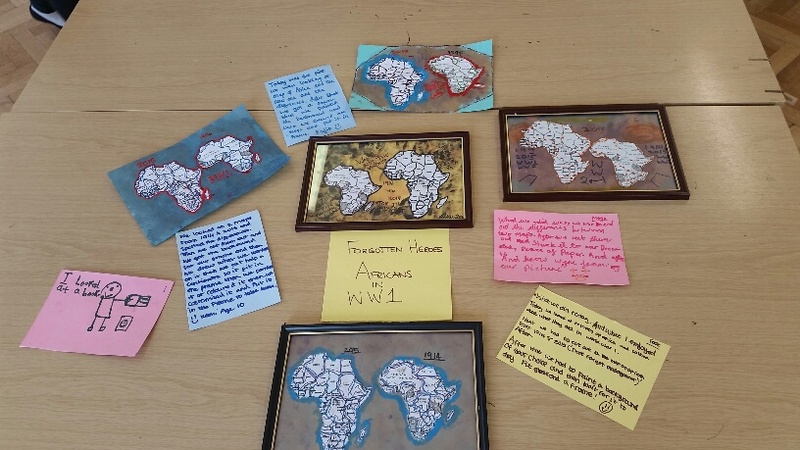 ‘’We learnt about the War Heroes, did the black poppies and looked at old stamps from 1914 -1918” – Fadekemi, Aged 11. “We learnt about African and West Indian soldiers that fought in the war, but how they were forgotten about”. Fadekemi, Aged 11. 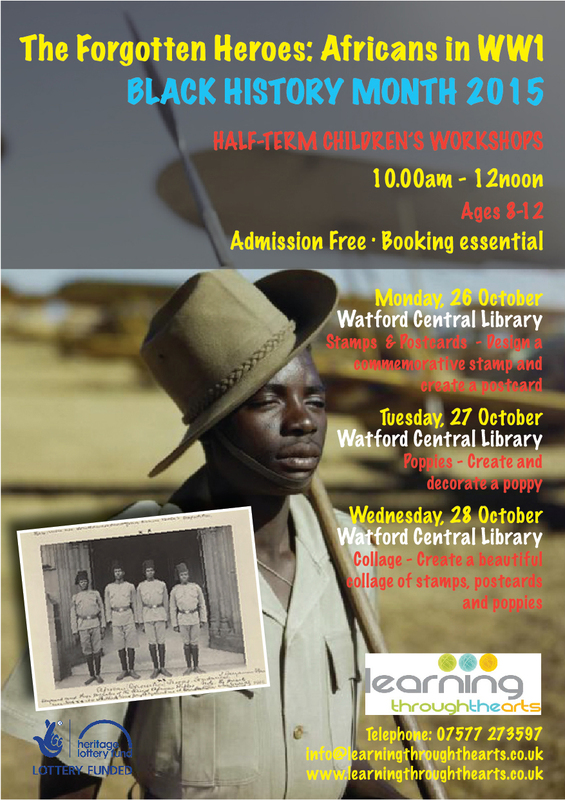 Children’s artwork exhibited at The Watford Library, (November 9 – 27) as part of Armed Forces Remembrance Day 2015. A play, titled Silent Screams was performed at The Pump House Theatre on February 5 and 6, 2016, with a total of 118 in the audience. 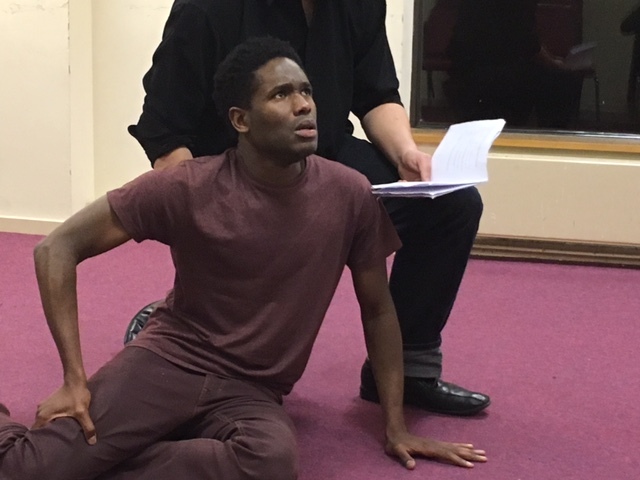 The drama explored both the contribution of African soldiers to The Great war as well as some of the social impact of the war.